Brian is an entrepreneur and leader in global education who has built his career helping today's student become globally competitive. In 1997, Brian founded CEA Study Abroad after a life-changing study abroad experience in Dijon, France. Brian felt that his time in France was so empowering and insightful that he wanted to provide the same opportunity to everyone. "CEA's success is built on our ability to design and implement innovative, high-quality academic programs that meet the needs of today's university student. In the current higher education environment, global competency is no longer a luxury. CEA is meeting that challenge by providing the skills and knowledge necessary to succeed in the global economy." Since its beginning as a study abroad provider, Brian has led CEA as the company grew to become one of the largest for-profit international education companies in the U.S with operations throughout the world and more-than 170 employees worldwide. CEA enrolls more than 4,000 U.S. university students annually in over 100 academic programs. Brian earned a Bachelor’s of Science in Commerce (BSC) degree in both Marketing and Finance from DePaul University (Ill.). He studied French language at the University of Burgundy in Dijon, France and the Alliance Française in Paris. In addition, he is also a graduate of the "Birthing of Giants" Executive Education program hosted by the MIT Enterprise Forum and Inc. Magazine. 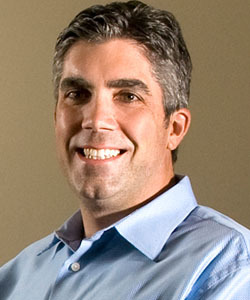 A resident of Phoenix, Arizona, Brian is married with two children. He enjoys hiking, mountain biking, worldwide travel, new business start-ups, and anything related to food and wine.